Nicole, thank you so much for coming and spending your time with me today and allowing me to do this interview with you. 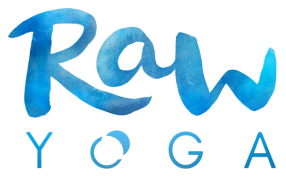 Nicole is the founder and director of Raw yoga, based in Milford on the North Shore, with a formal training in Iyengar yoga, and now also practicing AcroYoga, of which she is one of the first teachers here in New Zealand. Q 00.40 Nicole can you please tell me about your journey? Thank you Maree, that was a lovely introduction, I was 23 when I first ever did Yoga and I went along to the Loft in Auckland which is more of a Hare Krishnas based studio and space, and I found it really hard. I really liked Shavasana and the free food afterwards and it was over those years that I did little bits everywhere, and actually really got into Pilates because it was free with my job as a kindergarten teacher. I was teaching at the time I knew that I was going to be a teacher but it didn’t feel quite right there. I then went overseas, cleaned a lot of dishes, found more yoga, went to India fell in love and knew that I was going to teach and do that. I was in an ashram and I sat down and mediated on what school am I going to, and so I went onto Google after my meditation, and went to the New Zealand school of yoga in New Market. It’s a traditional Iyengar space, and for over a year with not a very good practice to start with, I commenced my 500 hours in yoga therapy training, hence I was their full time every day, an, learnt alot. It’s very traditional there is no music, I did the same sequence pretty much every day and it doesn’t flow as much static postures. It was quite rapid out of my training, that I got a job at another studio in Takapuna, Golden Yogie and it was a Vinyasa class, I had to teach the opening class their and I was very terrified, and Maree was the person who helped me with that first class. And it didn’t go that well, and from there I started teaching myself Vinyasa, through going to other classes and researching. I then fell in love with Acro Yoga which is an infusion of acrobatics, Thai massage and yoga. I travelled around the world to train in that myself, and it’s really amazing how it brings everything from my own singular format and makes it more of a community practice, which is what I am passionate about and what I want to share with Raw yoga so now my journey is a lttile bit Iyengar, a little bit Vinyasa, a little bit Acro, a little bit Aerial and all things yoga. 2.58 – Sorry we are just in a coffee shop so if this is sounding a bit loud it’s because we have coffee being made in the back ground which is perfect for a chat. Q 3.09 Nicole with such mixed variety, with your practice with Iyengar, I know it’s a space where you very much go into your own world, and work out your own practice, whereas with the Acro Yoga you are dependent on another person and that whole internal mindfulness, how does that come out? That is a great question. For me I still practice on my own I think it’s a really important part of the yoga journey, to have that internal time and that space where you are being a little bit more mindful for what’s going on for me and where am I at. At the start of our practices generally with Acro we will do our own kind of practice weather its for ten minutes and we are flowing in a Vinyasa or standing where you are grounded into your own body feeling out where you are, what’s going on. When you start to bring physical practice with somebody else it’s actually likely to bring up a whole lot more for you, so it can be really intense and there’s a level of vulnerability that is shared and also alot of ownership that you need to take on your own journey to then share that with somebody else. And so when you are either basing or balancing or flying whatever role you take even for spotting the level of mindfulness and care is actually probably higher than what you need for your own practice, because suddenly you are not just looking after yourself, you are not just having to worry about what’s going on for you, your then in partnership and co-creating to other humans to make it really magical. So for me it took something that I was doing everyday to another level, and how can I now bring this to other people and support other people not just myself, how can I build something bigger and want to see someone else fly, and want to support other humans, and for me it helps to ground myself, to connect myself more with my life, my work, the joy of being human. Q 5.19 – The safety aspect is obviously a lot bigger than if you were doing like the traditional Iyengar styled yoga or any form of traditional yoga where you often work within your own limits, whereas with AcroYoga you are flying people you are having people in the air so for that side of things in terms of safety that would have to come as quite a big part of the practice. A Massive part and the line we follow is AcroYoga. Org, and the guy who created it Jason Nemer was a professional acrobat himself and yogie, but one of his biggest things is safety and how we take care of each other and the metaphor for Acro is really about that. I see now in a lot of international communities where the ego is really big and it becomes unsafe because people are only caring about what they want to achieve. But what Acro does is brings you back down and it’s no stop and wait how can we do this the safest way. For our facilitated Jams and classes we talk about that alot and if its getting too out of control, you have to bring it back down and by having clear roles in place for the spotter, the base and the flyer which also comes to five spotters depending on how high we are going. It’s an amazing way to think about that a little bit more, as you can still get injured in a regular practice, in fact I did, I have also been injured in Acro and we learn a lot every time on how to make it more safer and how we create that together. Q6.56 – with the AcroYoga you have acrobats through circus and you have that whole Acro with the ribbons and various things like that so the point of difference between AcroYoga and Acro through acrobats or whatever, what is the key point of difference for you guys? Community so it’s not about trying to achieve something, so if you were looking at the circus they are like we want to get this move and we are going to do it over and over again to get to this high point as that’s their goal. Whereas our sole goal is to connect as a community and achieve something bigger by bringing people together. I had one teacher say the circus is at one end and the yogis are at the other and all the regular people are in the middle and we are bringing it together because what basic acrobatics offer is an amazing play space, which I feel like alot of us feel like we can’t have that now, we are an adult we don’t get to have that experience and AcroYoga brings it back, and it infuses in the yoga practice, the yoga moves, the laughter, the play, the epic level of trust and vulnerability and a huge part of it is Thai massage, there’s therapeutic flying, full Thai massage sequences that we do, and you get both sides of the coin and that softness again which as we know touch is very healing so it’s an amazing art to be involved with. Q 8.21 – and the therapeutic element of touch and of seeing someone achieve something that they potentially didn’t think they were capable of, and also I guess in some ways weight wise as well, as often when people are slightly bigger they are often put off by yoga studios so having the ribbons that come down or the swings that hold people, do you find that you get a good variety of people that want to try it out? Yes definitely, I think it is something that people do find intimidating and we work really hard to alleviate that, so if you get bigger people with Acro they are like ‘oh no I can’t fly’ and we are always like ‘oh yes you can’. And we try an offer an experience for everyone weather they can do it whatever their size is. Alot of insecurity comes up for people especially around size or I am this, or I am that, and I can’t do this and we put ourselves in these boxes, in so many boxes and in Acro you come together with a group of people who are all onboard with it being a community, and fun at any level, and everyone gets an experience, by being held up, by being lifted up so we try and take that away as much as we can with swings etc. With aerial yoga, we have had a variety of different sizes in terms of people and they can all do everything, I have never had anyone who can’t flip upside down on the swings. Q9.55 So you take people on a journey and a bit of transformation occurs in the people, and they come away feeling alot more confident. That’s one of the reasons I chose to teach and be apart of this for over the last four years because to see someone do something that they thought they couldn’t do is profound. It’s such an honour and a privilege to get to do that as your job. I remember the first time I did Acro and it was so amazing to have people be there and be patient with me and now it’s a gift that I give, and chose to give and it doesn’t end, it’s not like now I’ve done it so that’s it, there is a million more postures and ways to go so it’s like having a victory everyday in your own life, and this beautiful sense of achieving something without the pressure, or the ‘you’re not good enough’ type thing we take that away, which I totally saw in other practices the sense of feeling not good enough and so we don’t have that! 11.00 – As part of our March it out March we are doing alot of movement based exercises and encouraging people to move so we would love to encourage people to come over to Milford Reserve and try out a mixed yoga session with Nicole and have some fun at 1.30pm on Saturday, 26th March! Details: Milford Reserve, Craig Road, by the Milford cruising club meet at entrance to the reserve. In terms of moving and encouraging people to move or to try something different what are your three key things that you would tell people? To believe in yourself, to know that you can do it, to be really vulnerable, and to have an open heart and to trust. Q When you are working with a partner there is definitely that element of trust with each other that has to be so strong in terms of having someone hold you, fly you there’s a heap of trust. Absolutely the biggest thing before you even trust someone else, is actually the trust you have in yourself. And I notice that more people don’t trust themselves, I go through the same thing so I know it well and it’s the experience of if you are coming to the yoga mat for solo practice, acro, aerial yoga to trust your ability, trust that your body has got this for you, and whatever experience you are suppose to have that’s what will be there. So we tense up and we doubt and something happens that’s where we are not trusting in the ultimate journey that’s laid ahead. This entry was posted in Inspiration, Sport, V-Talks and tagged acro yoga, aerial yoga, community, fun, iyengar, laughter, meditation, mindfullness, play, trust, yoga. Bookmark the permalink.